Looking for fun Wizard of OZ party games for kids ideas as well as a craft? Check out these great game ideas for the party and this super cute bookmark craft for kids! This post contains affiliate links. The Wonderful Wizard of Oz is certainly a movie so many of us remember from our childhoods. This May 9th, we are brought back to Kansas and Oz in the new film Legends of Oz: Dorothy’s Return. The new animated film, Legends of Oz: Dorothy’s Return is much different than the Oz of our day yet we’re united with some of our favorites! We recently watched The Wonderful Wizard of Oz to refresh our memories before the new film hits theaters. So let’s see how you can host an amazing Wizard of Oz party with lots of games and a cute craft for kids. First let’s start with this movie craft for kids. Then we will share some Wizard of Oz Party games that kids can play. 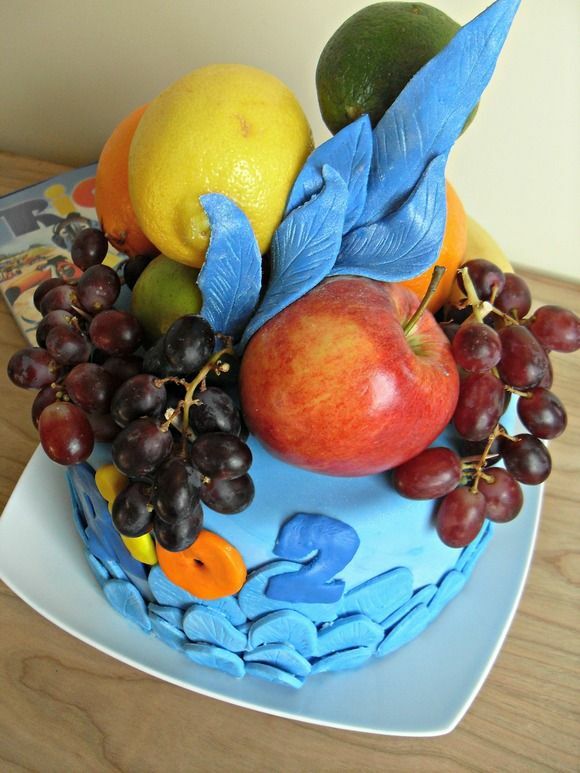 We will finish with a delicious party cake and snack ideas. 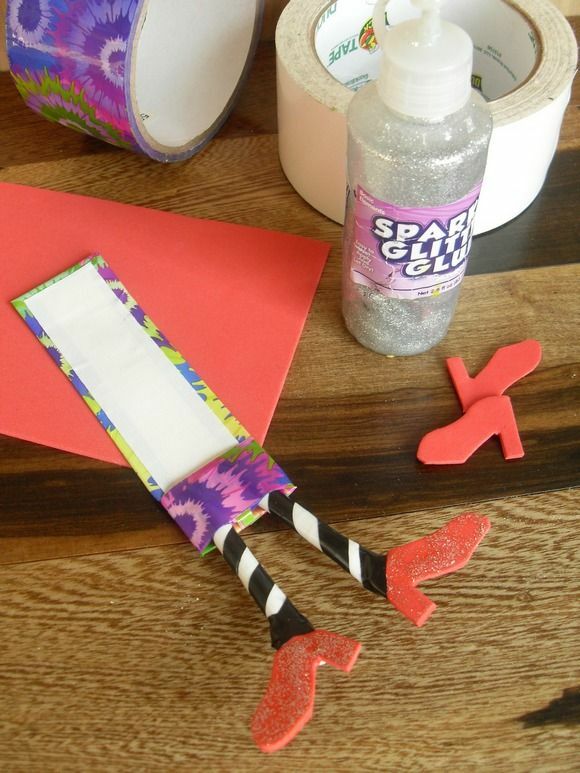 After we watched Wizard of Oz, we came up with this great bookmark and think it would be a fun craft for a Wizard of Oz Movie Party for kids! Why a bookmark for a movie party? If The Wonderful Wizard of Oz and the beloved characters taught us anything, it was that dreams really do come true and the power of imagination! Reading inspires all of us to dream and to let our imagination go. 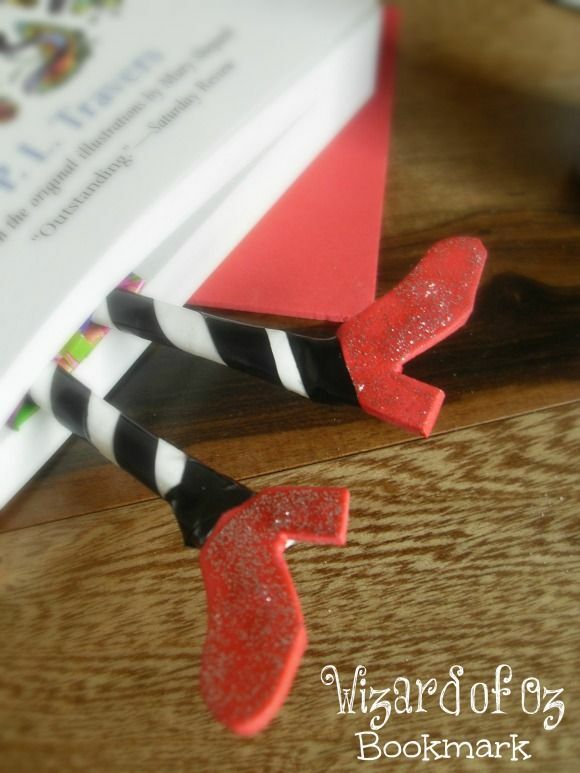 So, create this bookmark as a fun Wizard of Oz take home craft. Do you all recall the scene where the Wicked Witch of the West is found under the house wearing those beautiful ruby slippers? Who doesn’t recall this, right! Well, that’s the inspiration behind our bookmark. Layer several pieces of white Duck Tape together to create a somewhat stiff bookmark. You can cut the tape once it is layered to straighten it and make it the right size. The most important part of this step is to make sure it is layered together smoothly. Cover the back of the white tape with the rainbow or tie dye Duck Tape and turn it over the front side to frame the white. Cut a straw into 2 pieces approximately 2 1/2″ long and cover with white Duck Tape. Carefully wrap each one with the black tape to create stripes. Cut shoe shapes from the red craft foam and lightly coat with the glitter paint. Attach the shoes to the ends of the straws with the black tape. Cut strips of the rainbow or tie dye tape and wrap around the bookmark to secure the legs. Once glitter paint is completely dry, the bookmark is ready to use! Those striped stockings and ruby slippers are so cute sticking out of your favorite books for kids! Along with the craft, you can play those Wizard of Oz party games to keep kids entertained. There are lots of other great game ideas you can add into a Wizard of Oz movie party too. Party games are always a great idea and you could quickly and easily make a “Pin the heart on the Tin Man” game for lots of fun! Just a little grey & red construction paper, scissors, and imagination would make a great game! Another fun Wizard of Oz party game would be a twist on musical chairs – create a “yellow brick road” from construction paper. Lay the bricks out on the floor in a circle. Play music and have guests “follow the yellow brick road” until the music stops. Each round remove a brick from the path so there is always one less brick than there are players. Whoever is without a brick to stand on when the music stops is eliminated. I am sure these Wizard of Oz party games will be a hit among kids. Of course, no party is complete without party food! 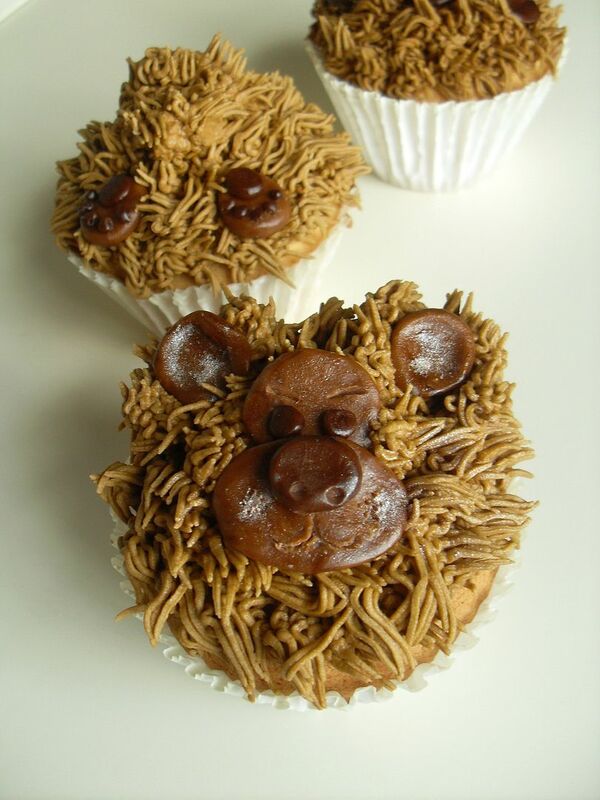 In addition the the great Legends of Oz Cake we have for you, plan other themed treats and snacks. Cheese slices would make a fantastic “yellow brick road” and is a healthy option when served with whole grain crackers. A glass bowl filled with fresh raspberries and strawberries would make the perfect “ruby slipper” and a variety of green fruits or veggies can become your “emerald city” when plated together! 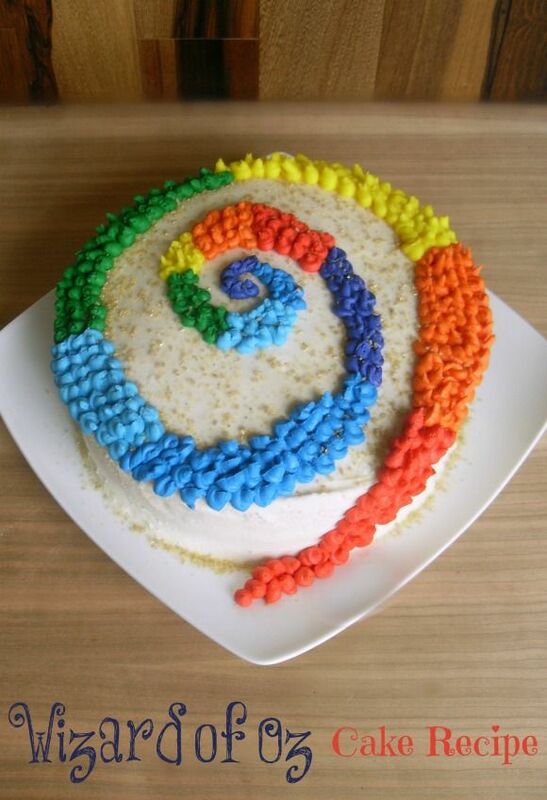 Be sure to check out our Wizard of Oz – Legends of Oz Cake Recipe! Want to take the fun even further? Check out these cute Wizard of Oz toys for preschoolers! Do you have any fun Wizard of Oz party games that you’d like to share? Check our other party games for kids we shared with you in the past. what fun! this is a totally awesome bookmark and I must have one! If you have time, we would love you to link up to our Snickerdoodle Sunday sometime! Too sweet! I love your bookmark idea. I might have to make one of thee with my daughter. That little bookmark is simply adorable. Great idea. I LOVE the bookmark! Absolutely adorable! I think I will be making a few of these for the the kids and my favorite fellow bibliophiles! I love love love, the bookmark! That is such a cute idea, I am sure my daughter and I would have a great time making this, that is for sure. That is truly the cutest bookmark I have ever seen! LOL, love the bookmark, that is adorable! We had so much fun making these! Just another great use for Duck Tape. 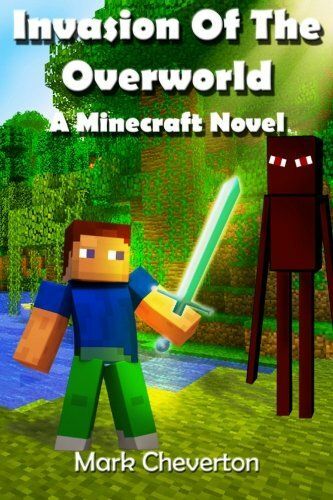 I encourage the kids to read the books to favorite movies whenever possible and this is something I plan to create for more movies and books to come. Glad you’re all enjoying! Ohhh how adorable!!! I love this, so cute! What a wonderful bookmark,seen it on Craft Frenzy Friday and I had to visit!!! I love this bookmark. Had to come back and pin it! 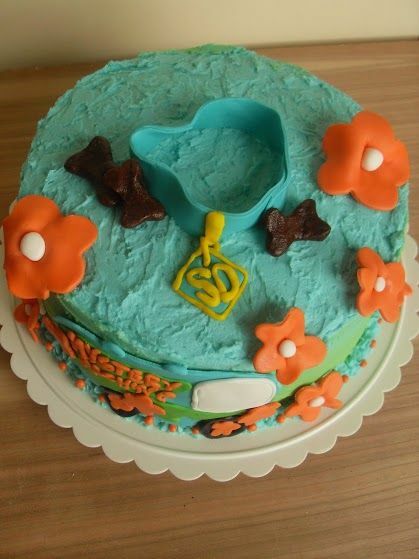 I really want to see this movie with my 6 yr old and that cake is so cute. fruits and vegetables into their diets but don’t want to deal with the hassle of juicing. hands leaving you feeling clean and dry and beautiful all over. try to avoid products that have been tested on animals. around 4 to 5 miles on daily basis.